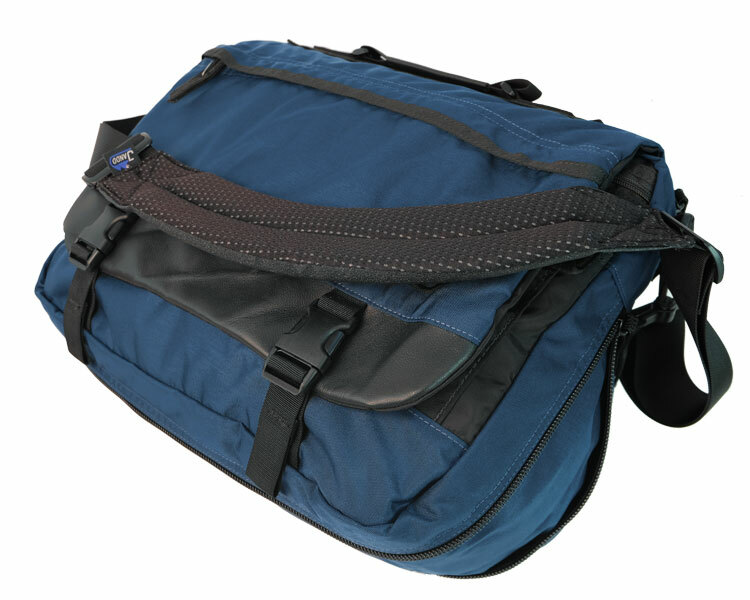 Larger than a Shana and more formal than the Gabriel, the Esek is perfect for the student or business traveler who needs a comfortable shoulder bag with professional styling. 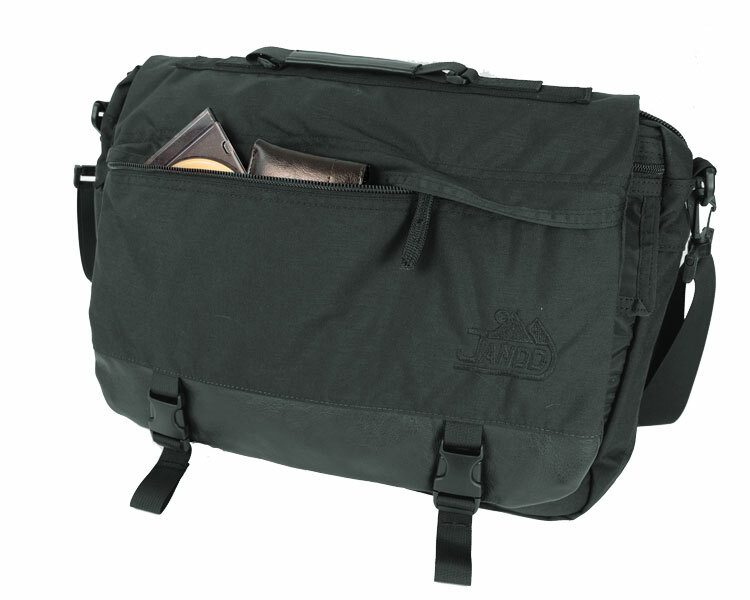 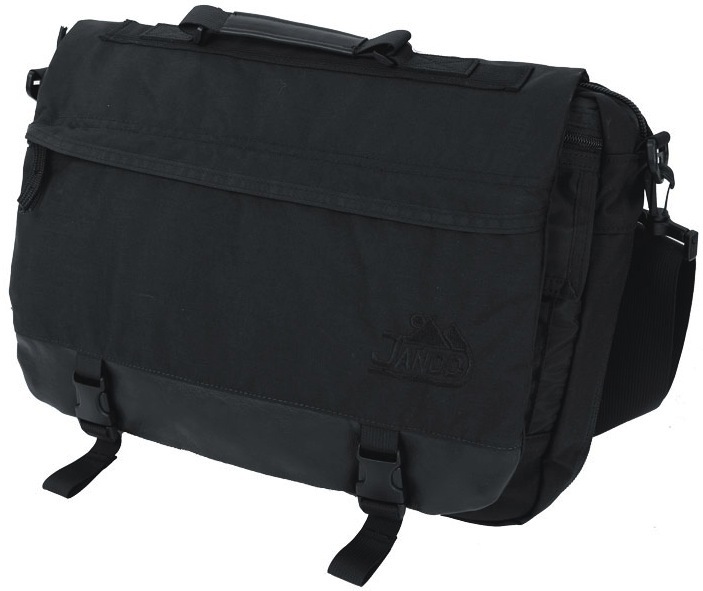 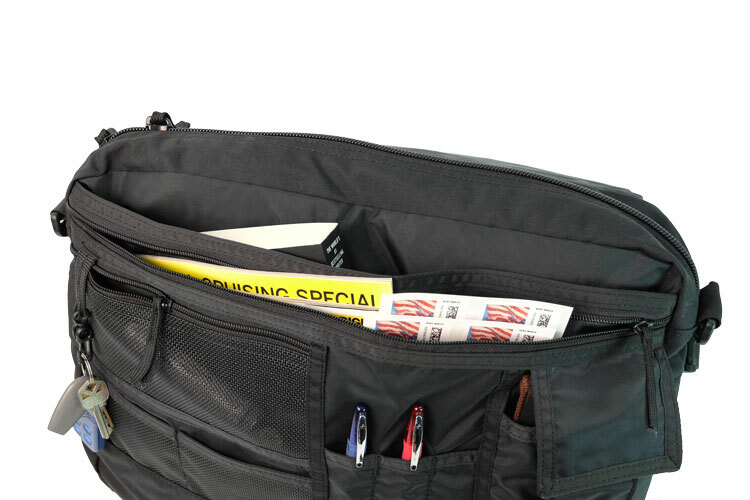 The Esek features a hidden rear pocket with zipper closure for security; the large main compartment will easily accommodate a laptop computer (using our optional horizontal CAP insert) with room to spare for books and papers. 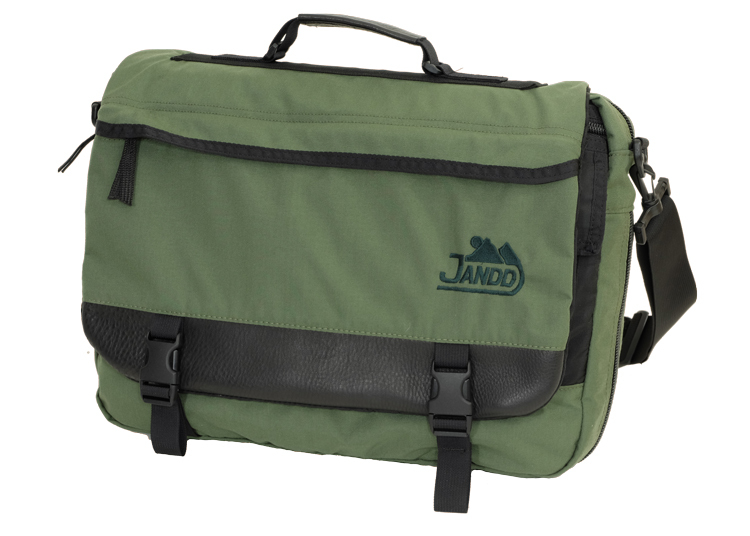 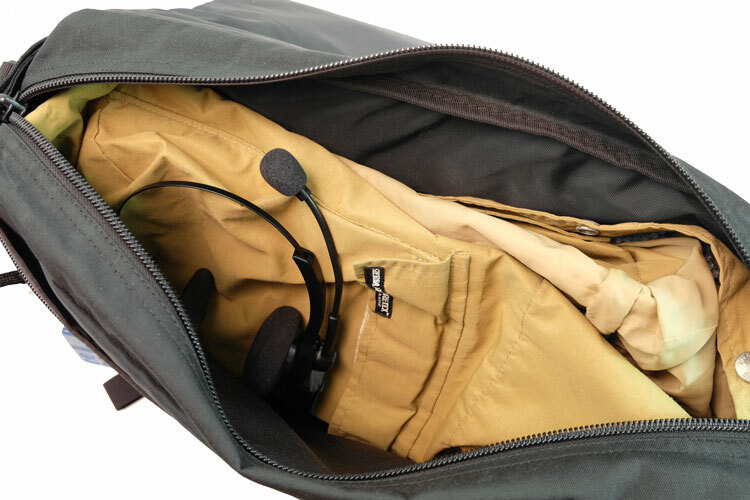 The main compartment has a zippered closure and is weatherproofed with a pocketed, leather-trimmed flap. 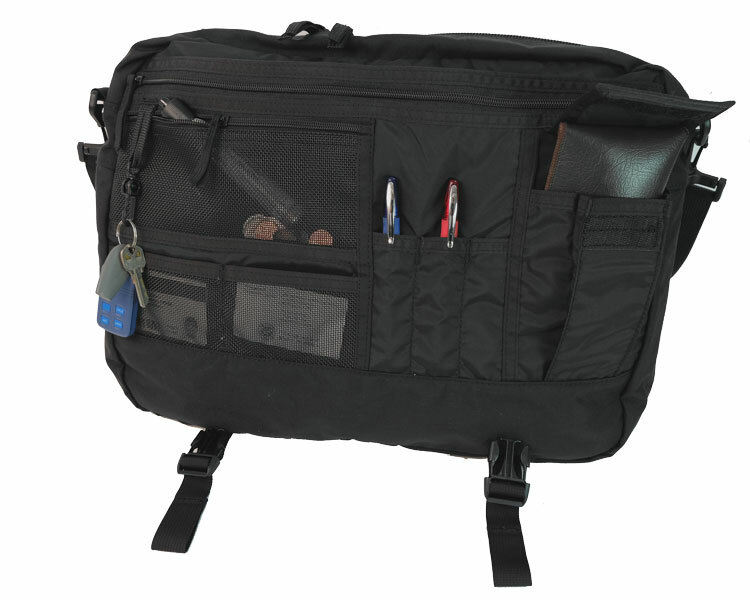 Under the flap are several organizer pockets: an open slash pocket covered by a full-size zippered flat pocket, three mesh pockets, three pen slots, a pleated pocket, and a swivel key hook. 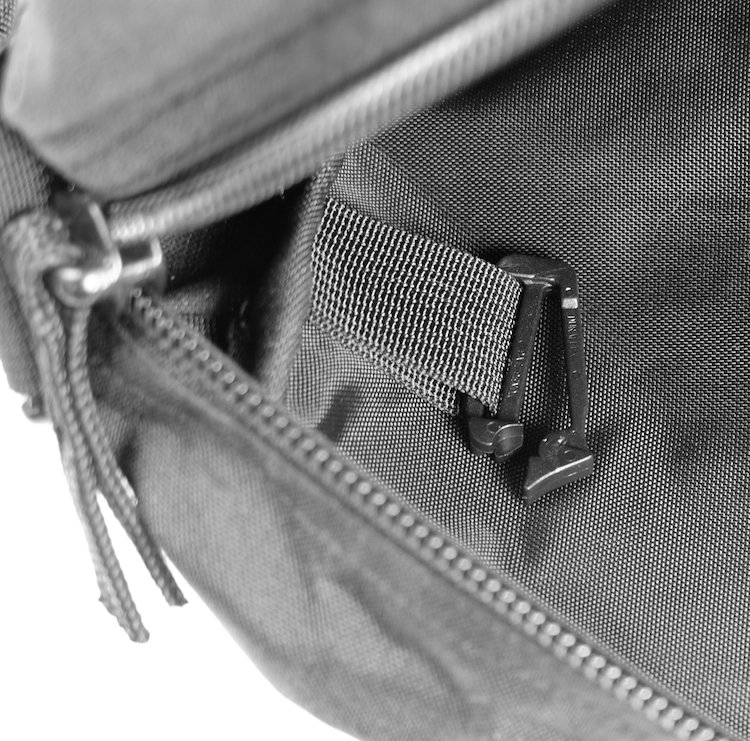 If additional space is needed, the gusseted bottom can be unzipped to increase space by 20%. 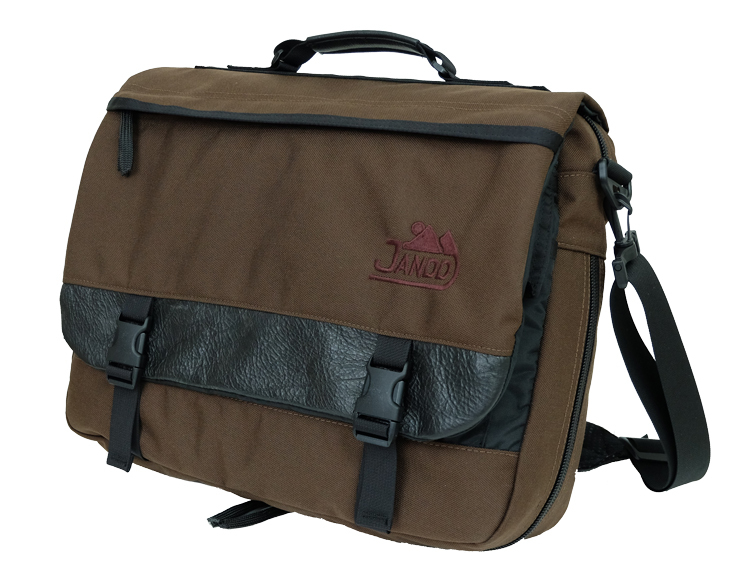 Carrying is easy and comfortable with our Deluxe Shoulder Strap and leather handle.